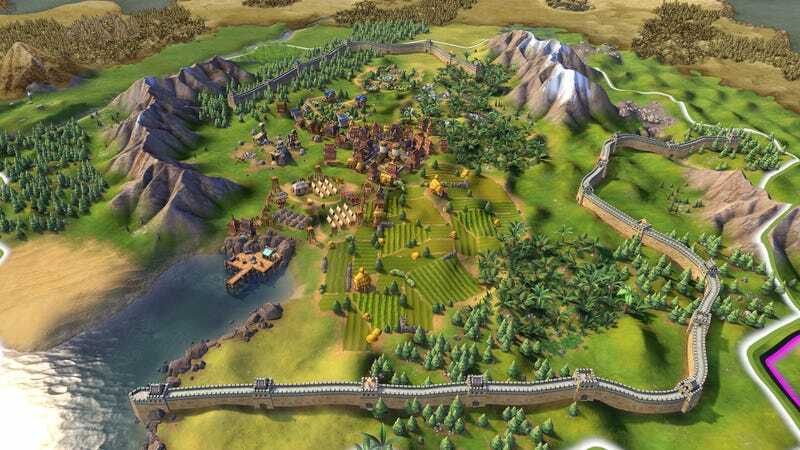 A very big update is out for Civ VI today (the first major one since launch), which among other things adds a lot more useful tips to the UI, makes the AI actually upgrade its military units and lets you rename cities. One of my only complaints from my review were some of the weird UI inconsistencies present in the release version of the game, so it’s nice to see these already being addressed. The update also adds DX12 support for cards which allow it. Below is the full list of changes, via 2K, along with some additions, since the update brings with it a new scenario and some new map types. MapsAdded a balanced six player map.Added a balanced four player map. ‘Cavalry and Cannonades’ Scenario AddedCombat scenario with reduced unit maintenance costs and no strategic resource requirement for units.Larger starting army and additional starting techs.Time limit: 50 turns.Goal: Possess the largest territory.